NASA has just released new aerial photographs that show, close-up, an immense, 70-mile long rift in the Larsen C ice shelf in Antarctica. The breach is 300 feet wide and one-third of a mile deep. As it grows, an iceberg the size of Delaware will break off. NASA's Operation Icebridge prepares to fly another mission over Antarctica. Credit: NASA. A 70-mile long rift in the Larsen C ice shelf was revealed in this image made on Nov. 10, 2016. Credit: NASA/John Sonntag. The rift is one-third of a mile deep. Credit: NASA/John Sonntag. 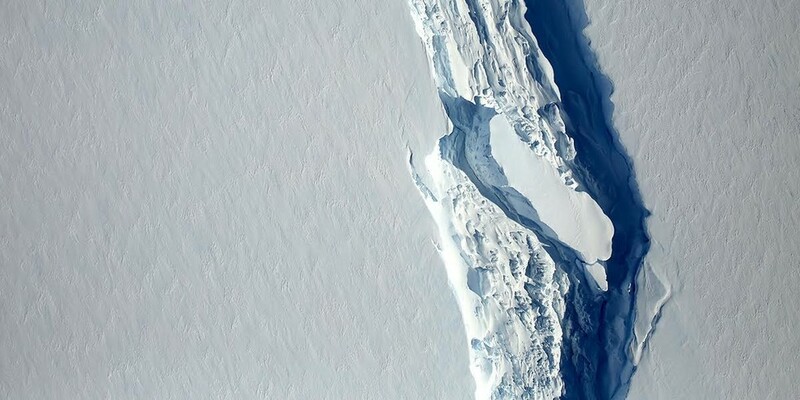 Close-up of the crack along the Larsen C ice shelf. Credit: NASA. When the Larsen C breaks off, it will create an iceberg the size of Delaware. Credit: NASA. 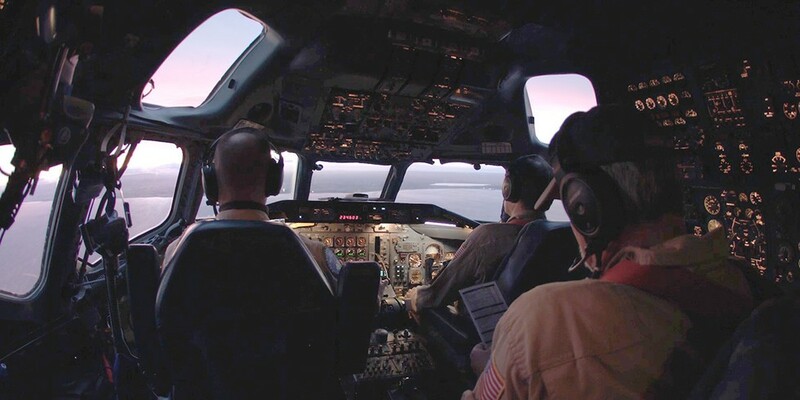 A view inside the cockpit of NASA's sophisticated aircraft, which is equipped with lasers, radars, digital imaging and infrared sensors. Credit: NASA. Operation Icebridge, in its eighth year of conducting airborne survey of polar ice, flew two missions in November around the 88th parallel. 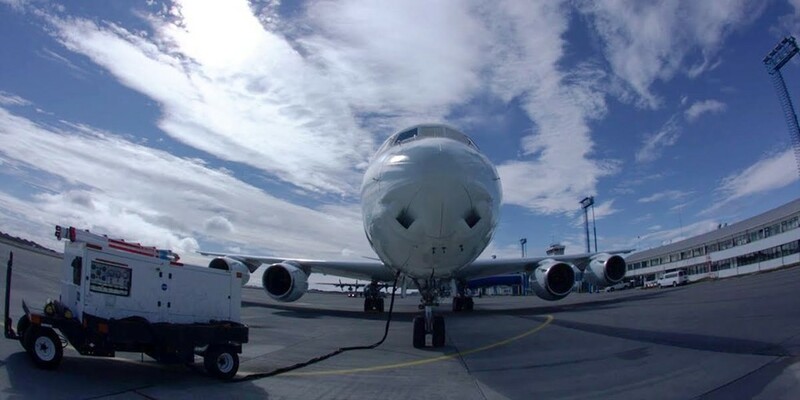 The highly sophisticated aircraft is equipped with radars, lasers, digital imaging and infrared sensors. The Larsen ice shelf, in the East Antarctic, is of interest because two previous sections have broken off and disappeared into the sea. Larsen A collapsed in 1995. In 2002, Larsen B began to break apart. 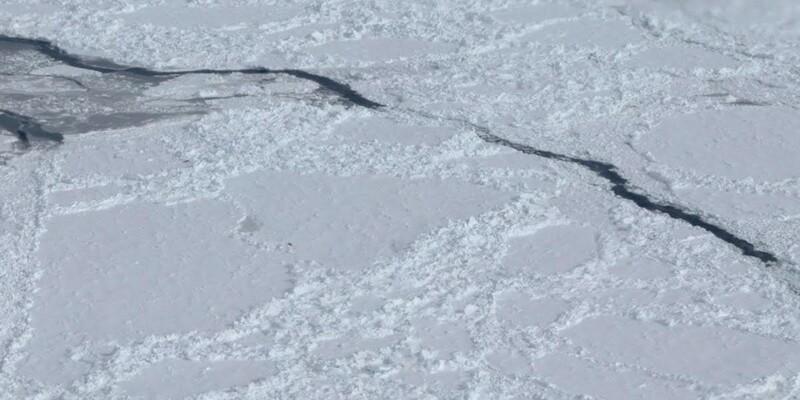 Within six weeks, a 1,235 square mile chunk of ice slipped away, which scientists attributed to warmer air temperatures. Prior to that, the Larsen B ice shelf had been stable for 12,000 years. Larsen C began thinning around the time that the other sections broke off, losing 13 feet between 1998 and 2012. But deterioration of the ice shelf has dramatically accelerated. When the dark of the Southern Hemisphere winter lifted in August, scientists were shocked to see that the rift in the ice had grown nearly 14 miles. 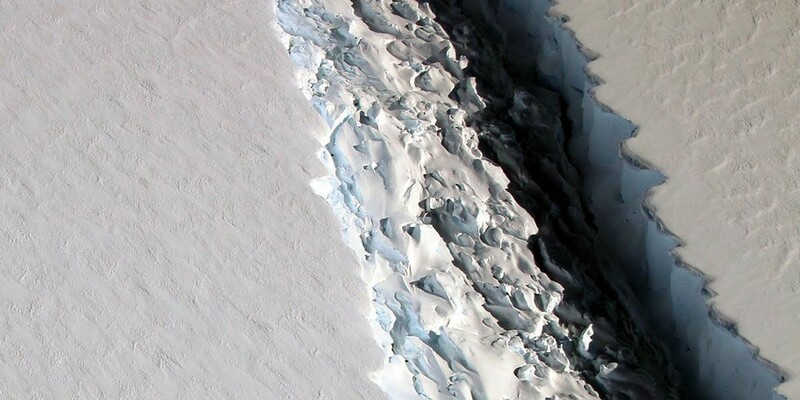 "The growth of this rift likely indicates that the portion of the ice shelf downstream of the rift is no longer holding back any grounded ice," said Joe MacGregor, IceBridge deputy project scientist and glaciologist at NASA Goddard Space Flight Center. Ice shelves ride on water and are fed by glaciers and continental ice streams. 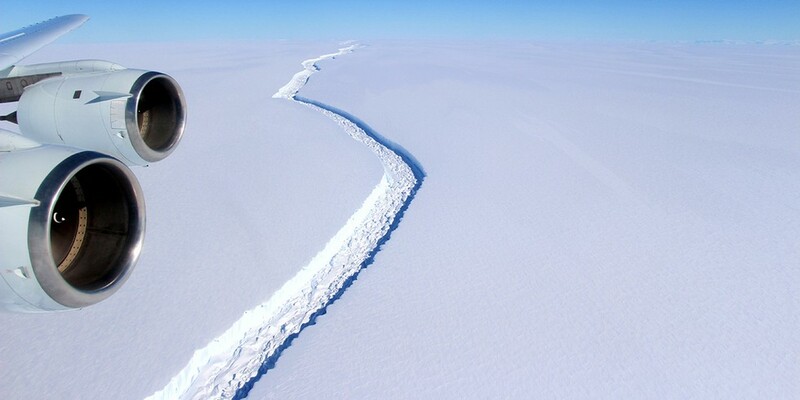 Cracks and calving are normal, and the loss of a portion of an ice shelf will not contribute to sea level rise as it is already afloat on the ocean. However, an ice shelf such as Larsen C holds back land ice, acting as a buttress. When a shelf disintegrates, the glaciers behind it can flow out to sea, which will directly increase sea level. Long-term satellite observations show that Antarctic glaciers are rapidly retreating. In West Antarctica, they are losing 23 feet of elevation per year. As they slip away, they add up to 150 billion tons of water to the ocean, raising seas by about a tenth of an inch annually. One of those glaciers, the Pine Island Glacier, calved off a 225 square mile iceberg in 2015. Ohio State University researchers found that the rift began at the base of the glacier in 2013 and worked its way upward. "It's generally accepted that it's no longer a question of whether the West Antarctic Ice Sheet will melt, it's a question of when," said study leader Ian Howat, associate professor of Earth Sciences at Ohio State. A separate rift in the East Antarctic is forcing a British research station to relocate. It's on the wrong side of the crack and could be stranded out at sea. Antarctica holds more than half of the planet's fresh water in its snow, glaciers and ice formations. But conditions around the continent are worsening. The NASA mission also flew over Antarctic sea ice. It found coverage to be sparse in the Bellingshausen Sea, on the west side of the Antarctic Peninsula. In November, Antarctic air temperatures were 3.6 - 7.2 degrees Fahrenheit warmer than normal. Antarctic sea ice set a new record low, as did the Arctic. Antarctic sea ice was a staggering 699,000 square miles below the 1981 to 2010 average. "Antarctic sea ice really went down the rabbit hole this time," said Ted Scambos, the lead scientist at the National Snow and Ice Data Center. The West Antarctic Ice Sheet could collapse entirely within the next 100 years. "The collapse would lead to a sea-level rise of nearly 10 feet, which would engulf major U.S. cities such as New York and Miami and displace 150 million people living on coasts worldwide," stated the Ohio State researchers. NASA's Operation Icebridge flights were based this year at Punta Arenas, Chile. Next year, the agency plans to fly from McMurdo Station in Antarctica in order to survey new areas. But, future missions may be in doubt. President-elect Donald Trump has suggested eliminating all climate research conducted by NASA, leaving Antarctica and the rest of the planet in the "dark ages."